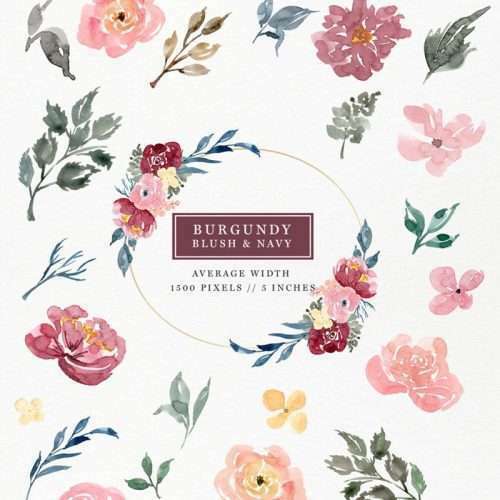 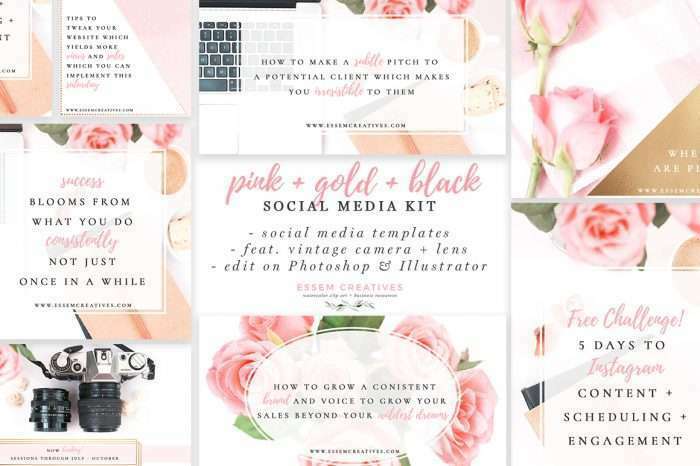 Pink Gold Black Social Media Templates are for social media branding & blog / website posts. 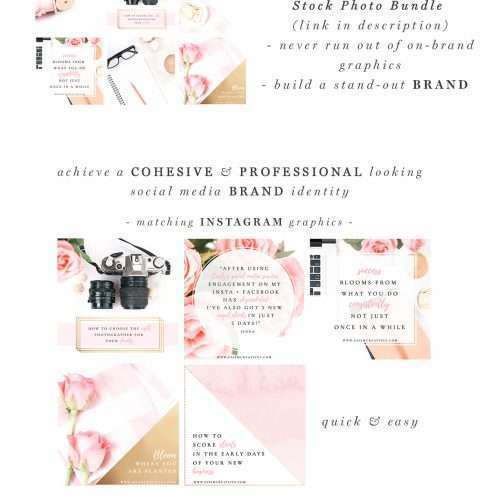 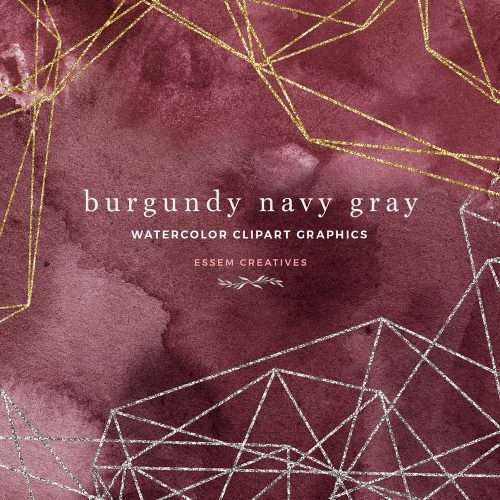 With this kit, you can look stylish and professional, even if you don’t have a dedicated graphic design team. 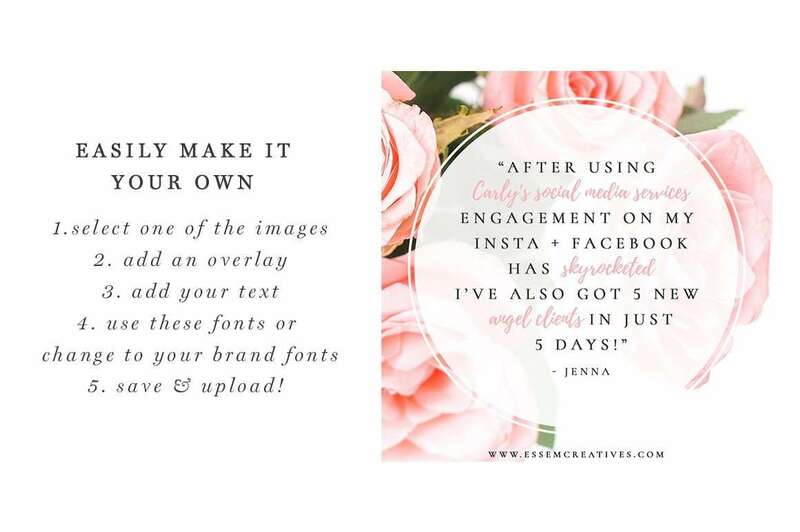 If you have been thinking about increasing your social media following & growing your brand, then look no further. 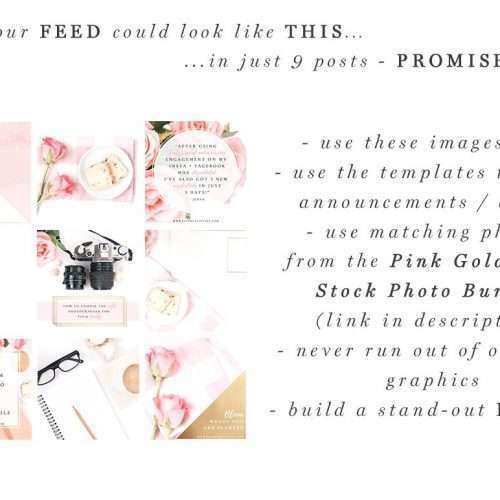 This is to answer to all your prayers! 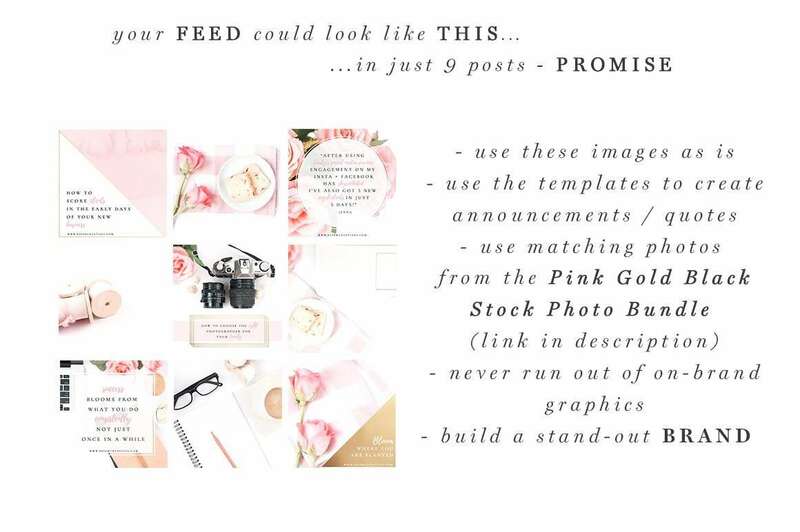 Looking for something slightly different? 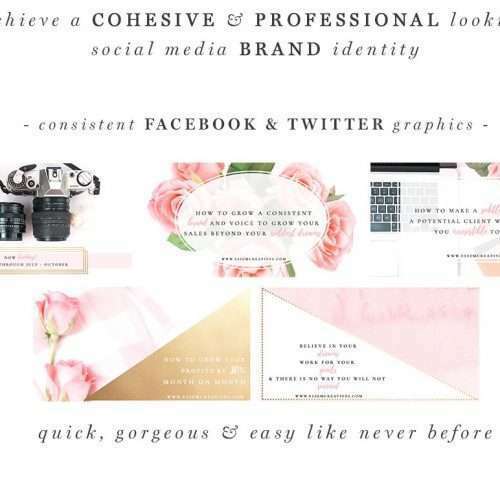 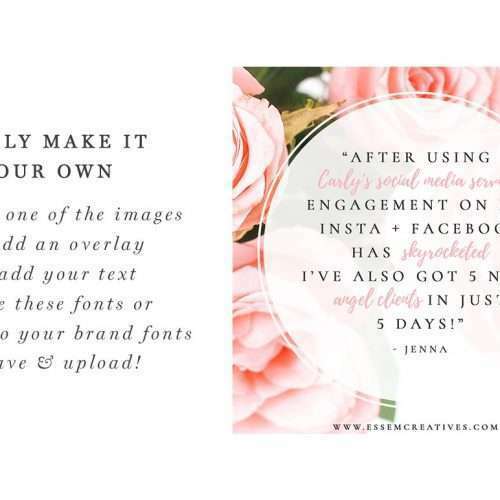 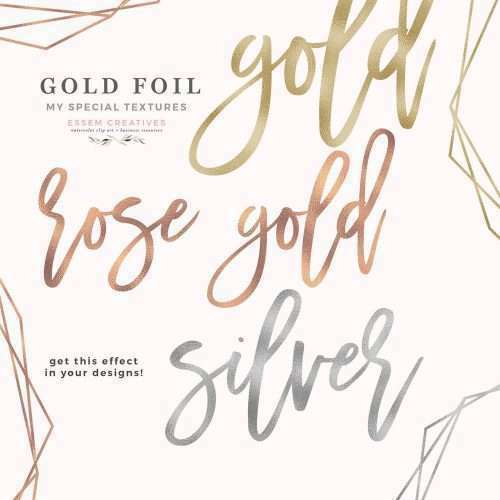 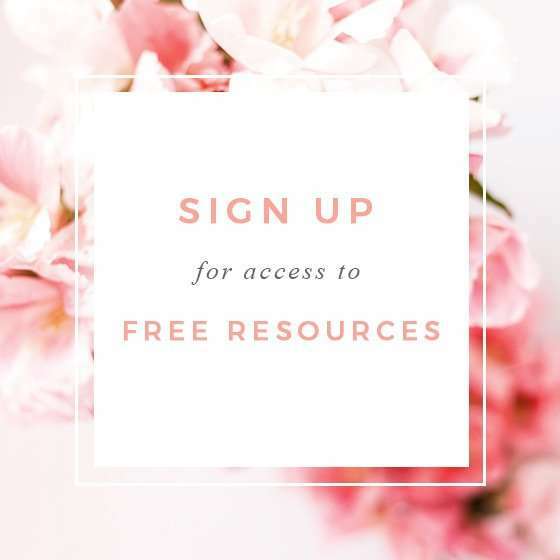 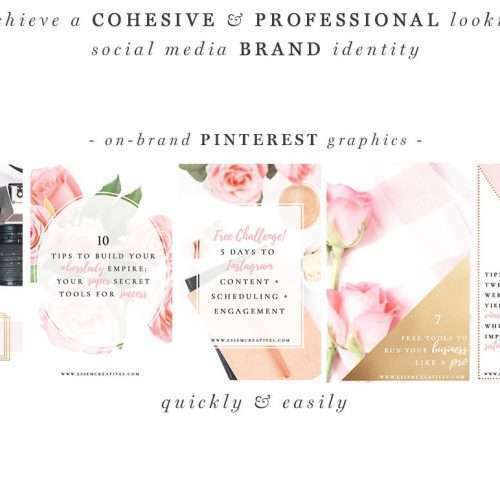 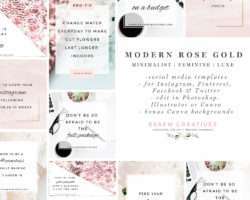 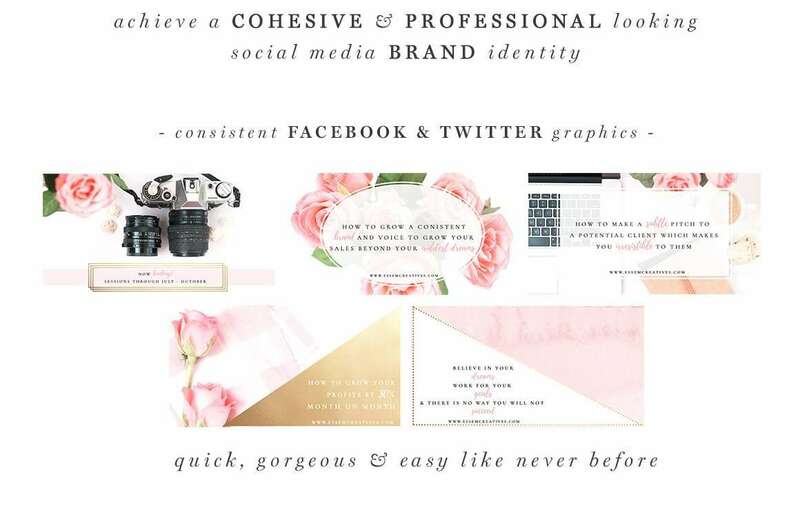 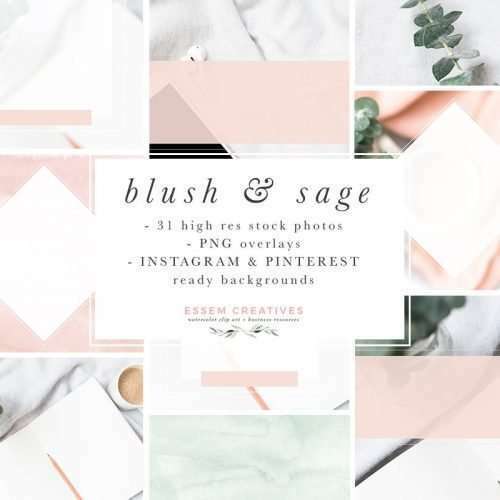 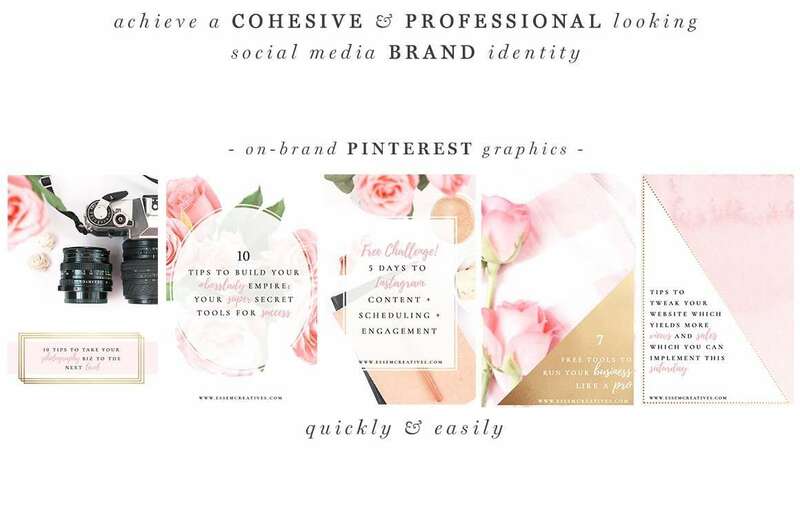 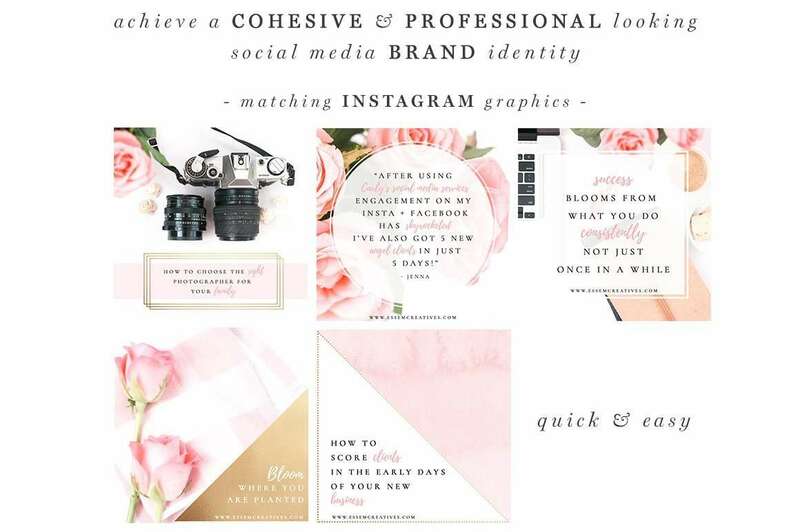 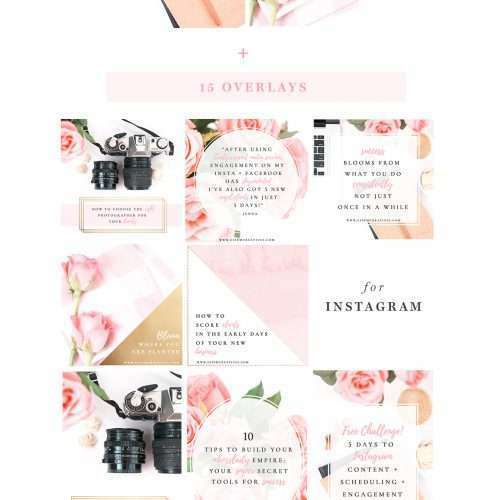 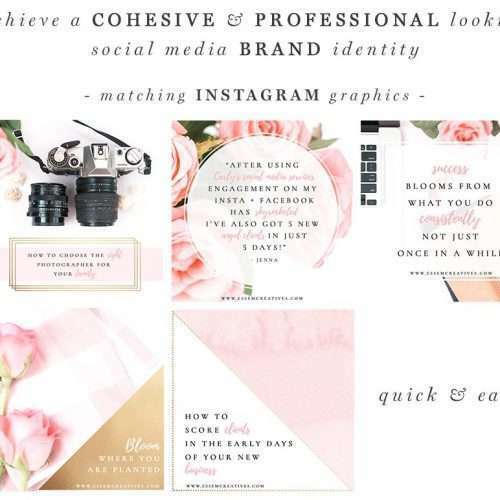 Try these Modern Rose Gold Social Media Templates & see if that fits your visual requirements better.